It is no secret that the past couple of months have been tough on farmers due to limited water supply. Pastures need water to grow, and without it, we might as well close shop. The soil-water relationship is an interesting one. Water is more often than not the limiting factor in this relationship, but could our soils also be adding to the water shortage problems? Are our soils actually able to hold the water it receives through rainfall and/or irrigation? Water holding capacity (WHC) is loosely defined as the amount of water the soil can hold for plant use1. One of the soil properties influencing WHC is soil texture. We would expect clayey soils to have a higher WHC than that of sandy soils. You might be wondering what can be done to improve WHC, especially on sandy soils? Well, it is not viable to try to change the soil texture – but building soil organic matter (SOM) improves WHC (for more on how to build SOM, click here). 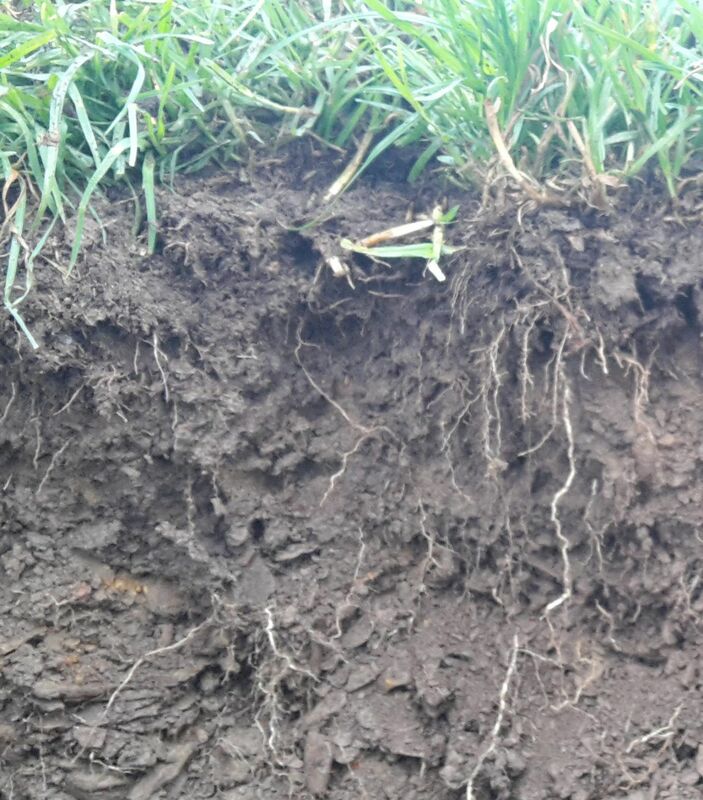 Soil organic matterimproves soil structure, leading to increased water retention. Another great benefit is that SOM has a surface charge that attracts water molecules, thus also increasing the amount of water that can be held in the soil. Making soils more water efficient will result in less water wastage and make water less of a restricting factor to plant growth. The only way to do this is by implementing practices that encourage the increase of SOM, which will not only result in a better WHC but improved overall soil health.